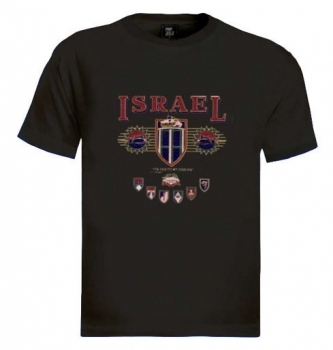 This beautiful t-Shirt, combines motifs and emblems of different units in the Israeli Defense Forces, especially the Armored Corps. 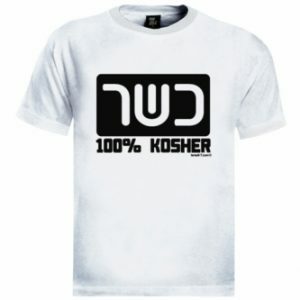 The beautiful typography says "I Love TLV" in both Hebrew and English. 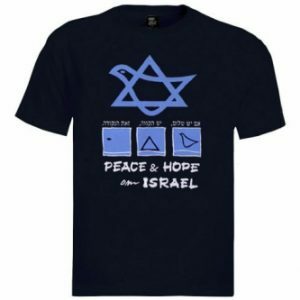 A humorous Jewish gift for friends and family who can appreciate the humour.. Symbolic of the multi-cultural life in Israel, the word ''Peace'' appears in Hebrew, English and Arabic.